Strange and prehistoric in appearance, the Indus river dolphin (known locally in Pakistan as Bhulan, or Susu in Hindi) are the most threatened among the river dolphin family. 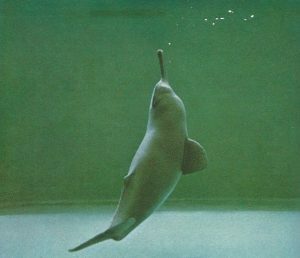 Native to the brackish lower-level Indus River system in Pakistan, these ‘blind’ dolphins use their echolocation to hunt and ‘see’ their murky world. 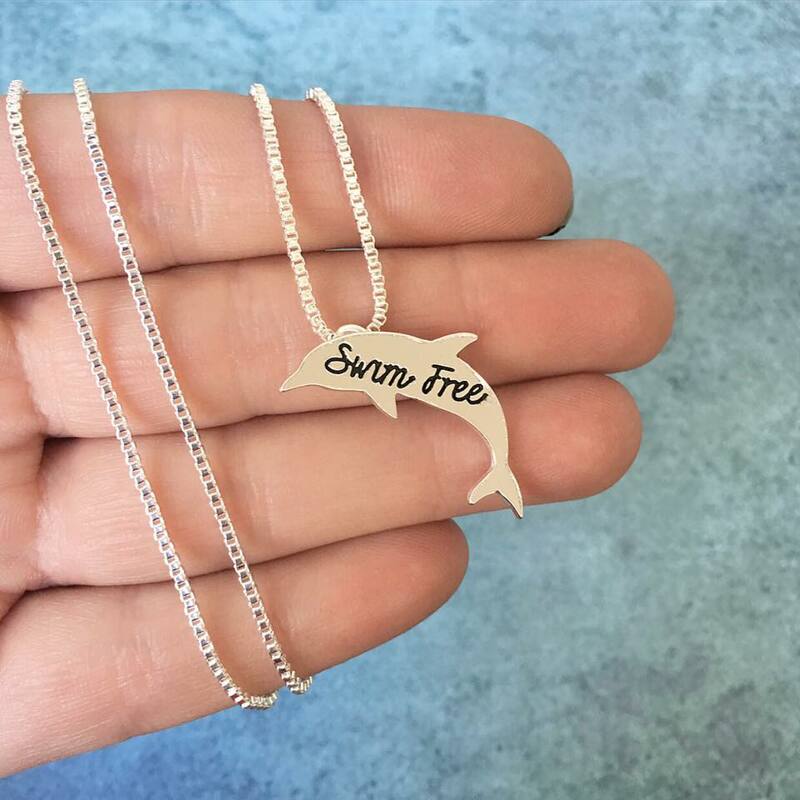 With only an estimated 1,100 individuals left and inhabiting a fifth of their former range, they have fallen victim to incidental bycatch from gill nets, polluted waters from human waste and agricultural runoff. Reckless fishing has significantly reduced food availability. On top of that, hydropower and irrigation dams only add to their troubles. According to marine mammal specialist, Gill Baulik, there is now a recorded link between the Indus’ disappearance and the construction of irrigation barges, which trap and isolate the dolphins, preventing them from more extensive foraging and breeding. 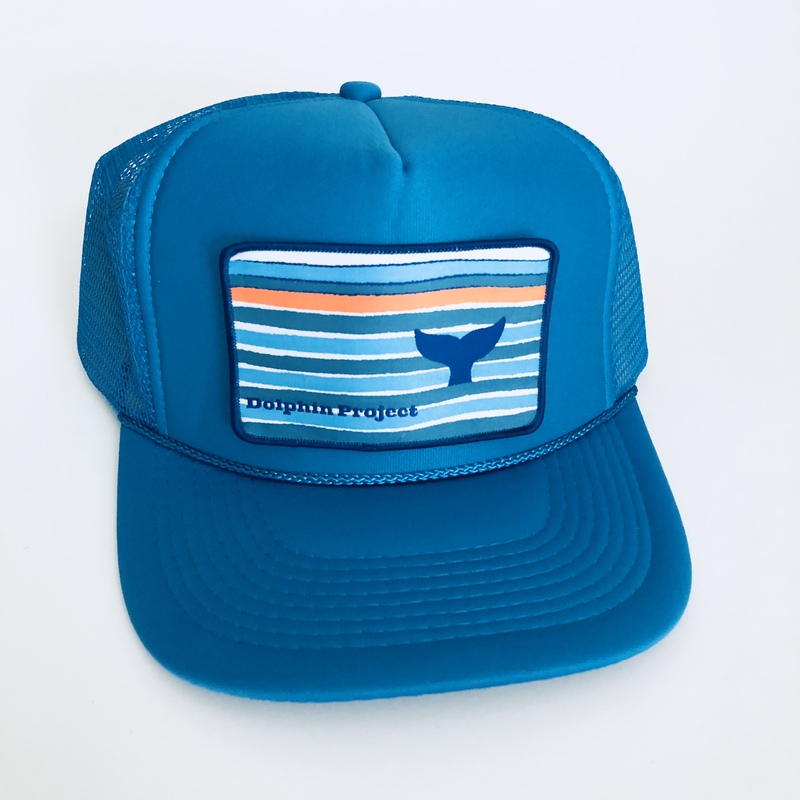 Very little is known about these enigmatic cetaceans, and minimal research has been conducted into their behavior and way of life, given their rarity and less than ideal water conditions in which to study them. 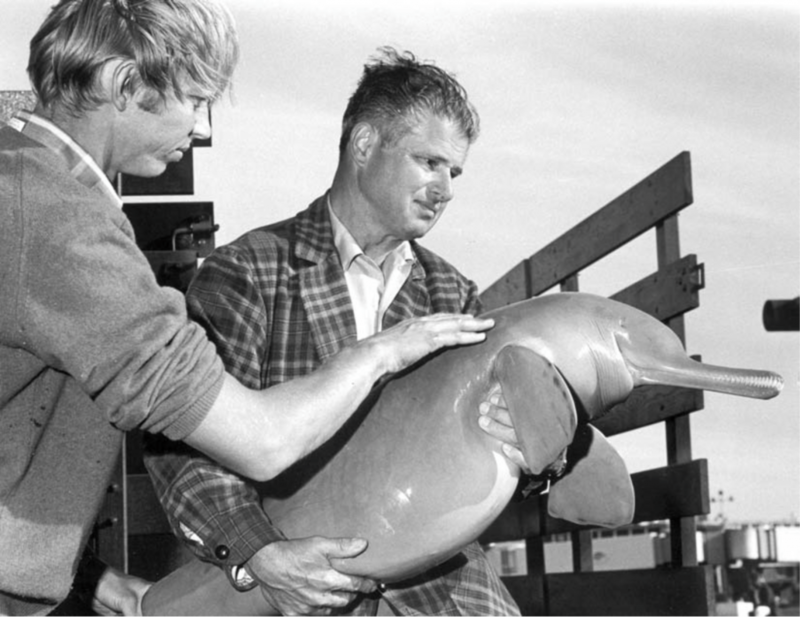 At one point, from the end of the 1960’s through the mid-1970’s, a handful of Indus river dolphins were kept in captivity, in order to better understand how they lived in such silty, murky waters. The earliest attempt was made in 1878, when Scottish zoologist and anatomist John Anderson captured a young Indus near Dacca, and kept it in a bath filled with fresh water for 10 days, near his home in Calcutta. He fed the youngster live fish, which it readily ate. No other details were written on how it died or if it was released. One of the three susu at Steinhart, early 1969. © California Academy of Sciences, from “Sierra Club Handbook of Whales and Dolphins” (1981); author’s scan. 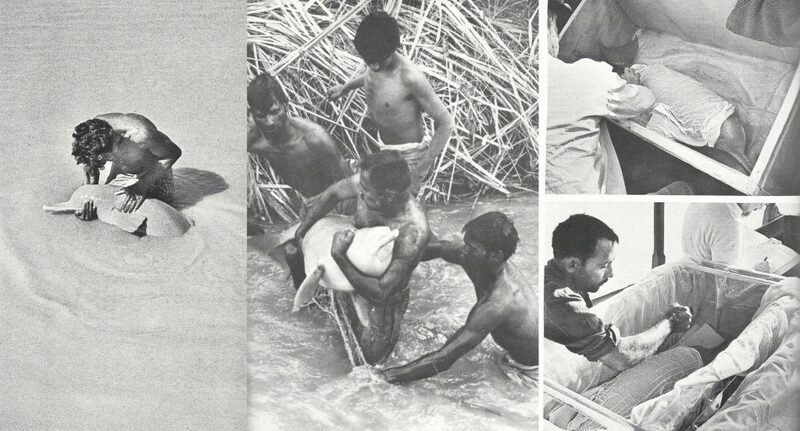 In November 1968, an expedition was carried out by Steinhart Aquarium near Sukkur, Western Pakistan, to capture Indus river dolphins for study. 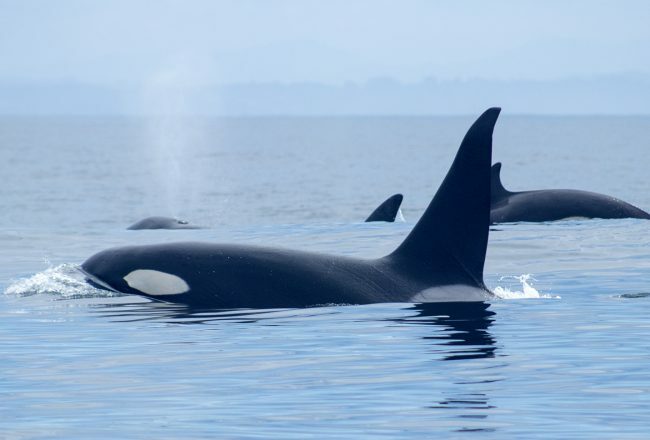 Lead by aquarium director and biologist for California Academy of Sciences, Earl S. Herald, along with associates Robert Brownell, Frederic Frye, and Elkan Morris, three female susu were captured by local fishermen from November 4—8, who normally caught the cetaceans to eat. Faced with the problem of shipping them half-way around the world, the capture team stopped briefly and put the three dolphins in a freshwater swimming pool in Karachi. There the men discovered the dolphins’ curious habit of swimming on their sides, with one pectoral flipper touching the pool floor. After taking another pit stop in Tokyo, the dolphins finally completed their 12,000 mile journey by being placed, unceremoniously, into their barren tank. Studied mainly through a porthole, Herald and his team observed how surprisingly “limber” and vocal the dolphins were, emitting a constant stream of buzzes and clicks. 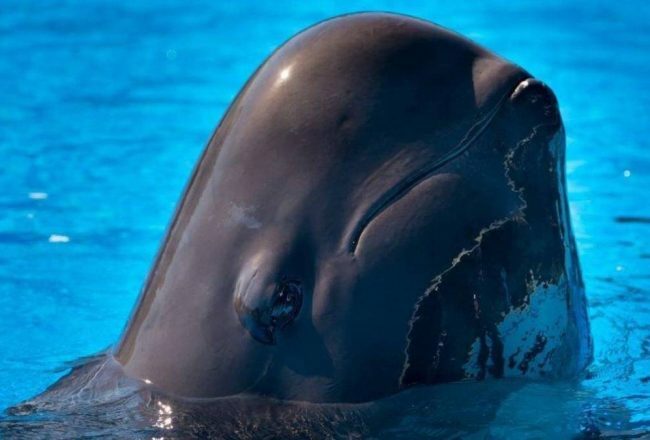 It was also hypothesized that while “the rudimentary eye lack[ed] the lens… [their] anatomical evidence suggests that the eye may serve as a light sensor,” given that the dolphins typically lived in fast-flowing, murky water. All three river dolphins lived at Steinhart a little over a month, with only one lasting 44 days. The necropsies for the two larger dolphins revealed they had died from pneumonic infection, most likely brought on by the stress of capture and transport, while the smaller susu died following injuries to her lower jaw during capture (confinement in an inadequate tank surely didn’t help matters). The dolphins’ skeletons, and one skull would be later prepared, and are still kept at the aquarium. 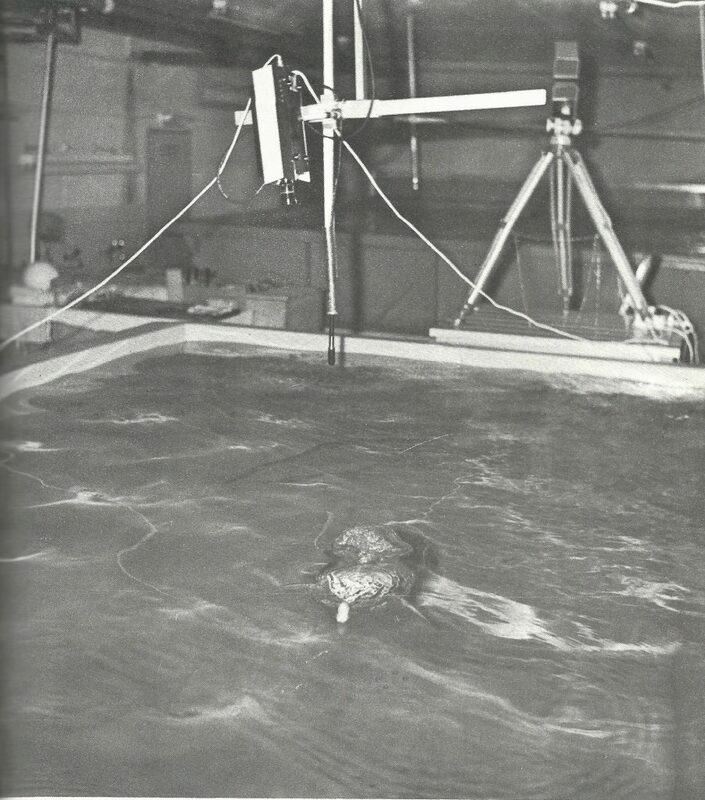 For Herald, the dolphins’ brief time in captivity was enough, as he eventually compiled his observations on their behavior and physiology into a report, published as the cover story for the December 1969 issue of Science Magazine. While Steinhart was preoccupied with their research, another in-depth study was underway, probing the echolocation and sensory abilities of the susu. 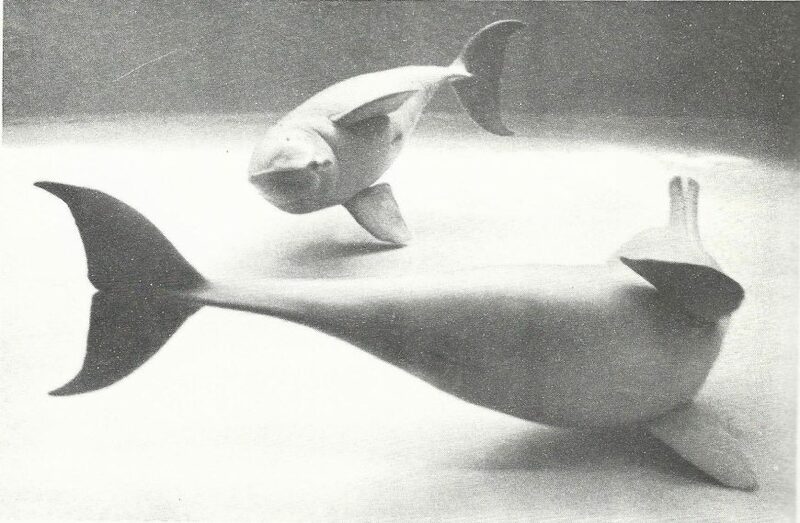 In late 1969, Swiss neuroanatomist and director of the Brain Anatomy Institute Giorgio Pilleri traveled to Pakistan to capture his own Indus river dolphins to study their physiology, sonar and navigational capabilities. Originally a proponent of keeping cetaceans in captivity for research, this long-term project would eventually plant the seeds of doubt in Pilleri that would later turn him into a critic. 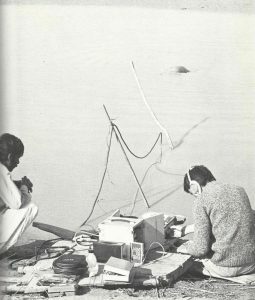 Giorgio Pilleri conducting field studies, November 1969. From “Secrets of the Blind Dolphins,” author’s scan. November 10th—20th was a hands-off, exploratory, observational trip. Pilleri listened to susu chatter through hydrophones on shore, or floated along with local fisherman in boats along the Gela Bil River, recording detailed notes on their foraging behavior, social groupings and activities. He learned the dolphins were most active in the day, but preferred to hunt in the evenings. They swam in scattered pods of 8-10 individuals and were only visible when surfacing to breathe. Females had much longer, slender beaks compared to males. With the newfound knowledge, Pilleri returned in December with the intent to capture dolphins, having managed to obtain a Swissair plane with suitable space for bringing live animals back into Europe. Another three Indus dolphins (two females and a male) would be captured alive for further studies at the Brain Anatomy Institute in Berne, Switzerland. Packed in plywood crates filled with foam, the destined trio were laid on their sides, kept cool with wet muslin and regular waterings, and had their bedding changed. For 70 hours, they were transported – in order – by motorboat, by lorry, by train, by Land Rover, and then finally by air during the Christmas holiday. Halfway to their destination, the dolphins were placed into a hotel’s children’s pool for more than a day, not far from Karachi airport. Then, for reasons unknown, one of the females was left behind as the other two were packed up and taken to their last stop, her fate unknown. Once they arrived at Berne on December 28th, the rooms that held the tanks were modified to mimic the dolphins’ original environment: similar water temperature, chemistry, as well as the room’s atmospheric humidity, which was raised to 70%-80%…with the exception of the tanks themselves. They were made featureless in order to make it easier for Pilleri and his team to study the animals. It would take two days before the cetacean pair would eat, and luckily, were offered live fish. The custom-made tanks at the Brain Anatomy Institute. From “Secrets of the Blind Dolphins,” scanned by the author. Inspecting an air bubble in its tank.© Giorgio Pilleri, from “Investigations on Cetacea, Vol. 6,” scanned by the author. In the first few weeks of their stay, Pilleri hand fed the dolphins to see whether he and his colleagues could gain their trust. During the fifth week, he had to enter the tank to catch the female, who had a received a small cut on her beak (possibly from hurting herself against the tank wall). As he held her to put antibiotic ointment on the wound, the male susu began to panic, and swam more frantically around the tank. Pilleri released the female quickly to avoid having her companion ram the tank wall or go into “a total collapse.” From then on, the pair were wary of their captors. Given their featureless environment, anything that was placed into the tank – such as a hydrophone – became an item of interest. Both dolphins enjoyed rubbing the device along the lengths of their toothy beaks. In several instances, they would let it hang down into their throats. One of the juveniles died within days, while the other died after one year in captivity. The adults lasted surprisingly longer; the male lived until February 1976, and the female, until March 1978. Causes of death were never publicized for the seven dolphins that were held at Berne University. 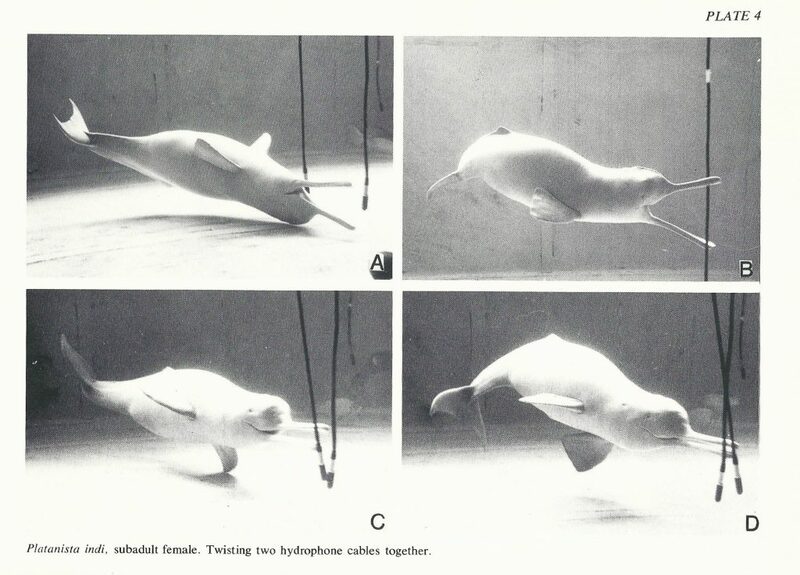 From “Play Behavior of Indus and Orinoco River Dolphins” by Giorgio Pilleri. From “Investigations of Cetacea, Vol 6.” Scanned by the author. 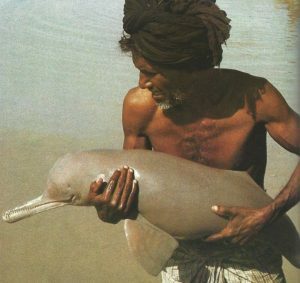 Pilleri was convinced, however, that his efforts did create some good: his studies and findings would convince the Pakistani government to protect the dolphins. A national park was created that included the same stretch of river the dolphins inhabited. For a brief period of time, the dolphins were granted federal protection, however, their fate is now uncertain, as industrial agriculture and irrigation methods have been introduced to the local communities that live along the Indus. “Observations of the Behavior of Plastanista gangetica in the Indus and Brahmaputra Rivers,” “The Capture and Transport to Switzerland of Two Live Platanista from the Indus River,” and “Feeding Behavior of the Gangetic Dolphin in Captivity,” from Investigations of Cetacea, Vol II., edited by Giorgio Pilleri (1970). 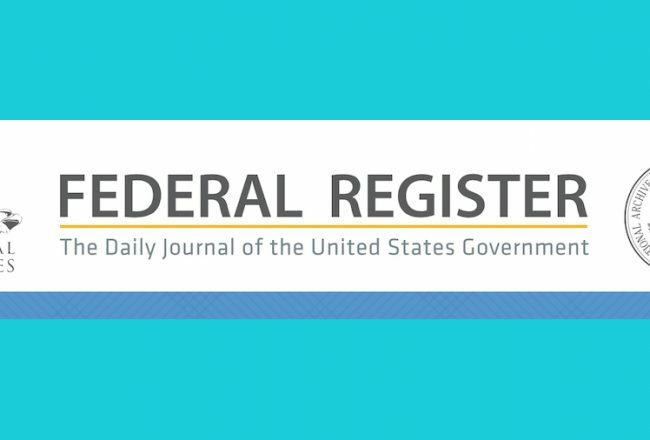 “Prospects for Captive Breeding of Poorly Known Small Cetacean Species,” by Barbara E. Curry, Katherine Ralls, Robert L. Browned Jr. (2013) for Endangered Species Research. Featured image: Pilleri’s susu exploring the laboratory tank bottom with their pectorals. © Giorgio Pilleri, from the book Secrets of the Blind Dolphins by Pilleri, scanned by the author.